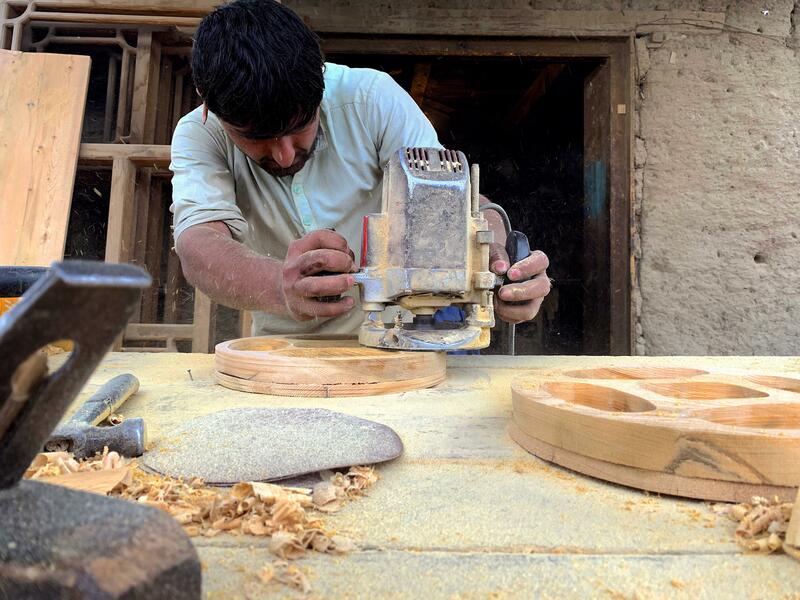 NANGARHAR -- Terrorists loyal to the "Islamic State of Iraq and Syria" (ISIS) in Nangarhar Province are funding their activities through illegal logging, according to local officials. There are vast forests in Achin, Nazyan and Haska Mina districts of Nangarhar Province -- areas that ISIS took control of three years ago. ISIS is felling the woods and transporting pine, oak and other lumber to Pakistan to sell, officials say. "ISIS terrorists cut down the forests of our district's mountainous areas, and they transfer them through the mountains on the other side to the Tirah Valley [in the Federally Administered Tribal Areas of Pakistan] and sell it there," Achin District Governor Mohammad Ismail Shinwari told Salaam Times. ISIS has taken residents' livestock and other property too, he said, seizing whatever wealth the poorer locals had, Shinwari added. "They took away all of the forest," Niaz Mohammad, commander of the local police in Achin District, told Salaam Times. "There is only one mountain between Achin and Tirah. They have made a road there from the Pakistani side. They load trucks on that road and haul it away." "As soon as ISIS arrived, it immediately seized the forests," said Qayum Khan, 30, a resident of Sadal Bazar area of Achin District. ISIS loads up mules with the timber and hauls it off to Pakistan to sell, he told Salaam Times, adding that the illegal logging "is still going on". ISIS is facing resistance, however, not only from local residents and officials but also from Lashkar-e-Islam (LI), a militant group led by Mangal Bagh that is active in Khyber Agency, Pakistan, and in the border region. ISIS and LI started fighting in Achin District February 4, and officials say the illegal logging is the reason behind the clashes. Twenty-five members of ISIS were killed and 18 were captured by LI in the latest fighting between Mangal Bagh's followers and ISIS members commanded by Abubakar Kunari and Abdullah Orakzai, a source within the Afghan national security establishment told Salaam Times on the condition of anonymity. Five LI members were wounded, added the source. "It has been some days now that ISIS and Mangal Bagh's men have started fighting in the Bandar area," said Malak Kamin, a tribal chief of Achin District. "There are oak and pine forests in Nazyan, Achin and other districts," he told Salaam Times. "Both [LI] and ISIS claim ownership of this forest." "ISIS and [LI] ... obtain money from cutting down the forests and fund their fighting with it," he said. "The upper wooded areas of Bandar, which belongs to Achin District, were occupied by [LI] and the lower areas were occupied by ISIS," Khair Mohammad, a commander of the local police in the area who has long battled ISIS, told Salaam Times. "They divided the areas between them." That arrangement quickly fell apart, leading to clashes. "The wooded areas were occupied by Mangal Bagh's men. 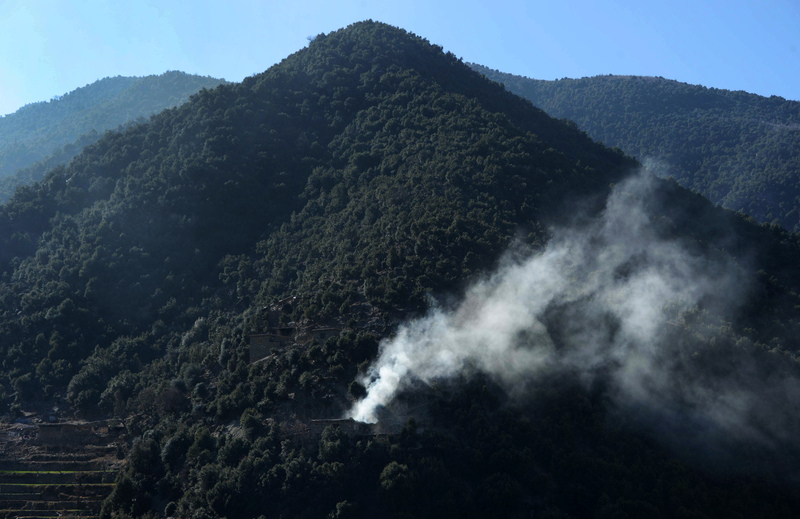 When ISIS members went there to cut down the pine trees, Mangal Bagh's men opposed it, saying [access to the forests is their] 'right', so the fighting broke out ... and it is still going on," he said. "Laskhkar-e-Islam and ISIS have previously fought each other in the Spina Zhay and Dwa Khole areas of Nazyan District for the forests, causing the killing and hostage-taking of tens of ISIS and Lashkar-e-Islam fighters," Ataullah Khogyani, spokesman for the Nangarhar provincial governor, told Salaam Times. Both ISIS and LI "are opponents of our government, and they are fighting with each other", Khogyani said. "They've inflicted many casualties on each other, but we cannot say whether they are Laskhar-e-Islam or ISIS -- all of them are the same terrorists, and we are fighting against them," he said. Your reports are interesting for you are writing on various topics and aspects of life. This is an important topic that you have investigated. Thank you very much.